Tarawera Ultramarathon’s Paul Charteris won Rotorua X’s inaugural start-up pitch night on Friday night. In front of an audience of around, 100 NZ Trail Run’s business pitch took out scary aliens, arm wrestlers and mag cleaners to win over $2,500 of business prizes. The Start-up Pitch night was developed to provide an opportunity for entrepreneurs of commercial and not-for-profit organisations to practice their pitch and receive constructive feedback without the high pressure situation. Paul took part in the event as he thought it was a wonderful opportunity to be in front of the Rotorua business community. Paul was surprised he won and think his passion won over the judges. But there is no break for the winner. Paul’s focus for the next few months is to attract the best runners in the world to participate in the event, engage international media and to attract sponsors for the event. “I want to work with Rotorua businesses to help them reach their target markets with my events,” he said. Julia Charity from NZ’s home stay network Look after Me was the judge’s runner-up and also won the People’s Choice award. Head Judge Mayor Steve Chadwick said she was inspired and amazed by all the businesses and new ideas pitched on the night. “Not just the winners of tonight, but all of the pitches have a place in our town. What a great city we would have if all the ideas came to fruition,” she said. The other judges were Josh Daniell from Snowball Effect expert in raising investment for companies through crowd funding, Rotorua’s own angel investor Ryan Holmes, Local MP Todd McClay, and Labour candidate Tamiti Coffee. Rotorua X Charitable Trust chairman Darren McGarvie said he was blown away by interest in the event. 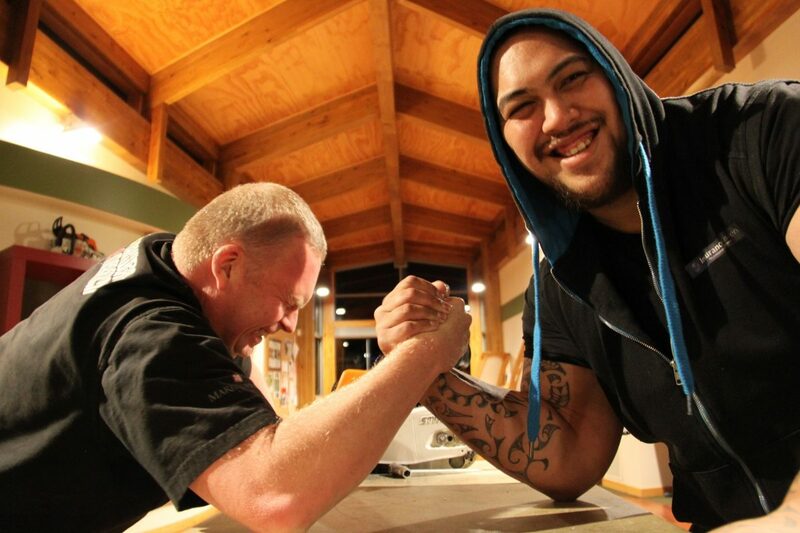 “There is such an appetite in Rotorua for events like this. In planning the event we didn’t expect to have so many businesses interested in pitching and to have standing room only in the audience,” he said. “Rotorua X will definitely hold another event like this next year, with a few tweaks and improvements,” Mr McGarvie said.